This community-centric installation examines local issues of domesticity and labour through the mediums of mark-making, sculpture, and drawing. It poses this question to the public: how do we value different kinds of labour in society? The installation which subverts everyday domestic objects, turning these into art objects instead, encourages audiences to think about their intersectional positions of house and art worker, to better understand the nature of labour in the home. 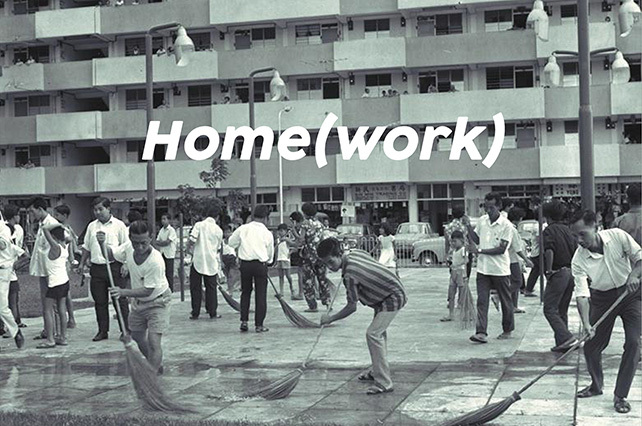 Featuring workshops and an exhibition by various artists invited to share their own interpretations of domesticity and labour, Home(work) provides an alternative, artistic perspective on the issue of work within the home environment.